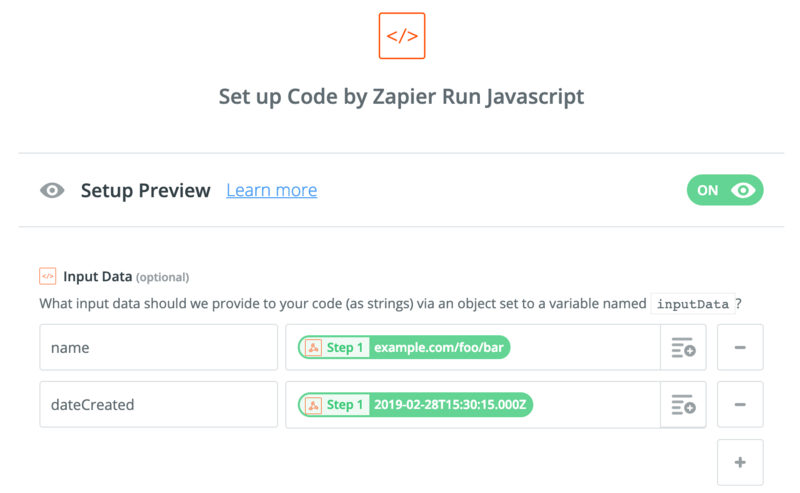 In Zapier, you can customize the filename for your screenshot when it's saved to an Action like your connected cloud storage account. ⚠️ Not all filename formats may be supported in your cloud storage account. Please check the documentation of your connected account first. Please see the Stillio Webhook API Docs for detailed info. The original filename, as it is stored in the Stillio architecture, should be safe to used on most file systems but does not contain any information about the webpage or date it has been captured. It is represented in the webhook payload by the field as:object.schema:identifier and may look something like c268d9c0-3902-11e9-a49d-9728950eb84f. If you add .png you get a file system safe filename (c268d9c0-3902-11e9-a49d-9728950eb84f.png). If you prefer the filename to be descriptive and informative, you can create a custom filenaming format. You can script your own format, or use our example below. 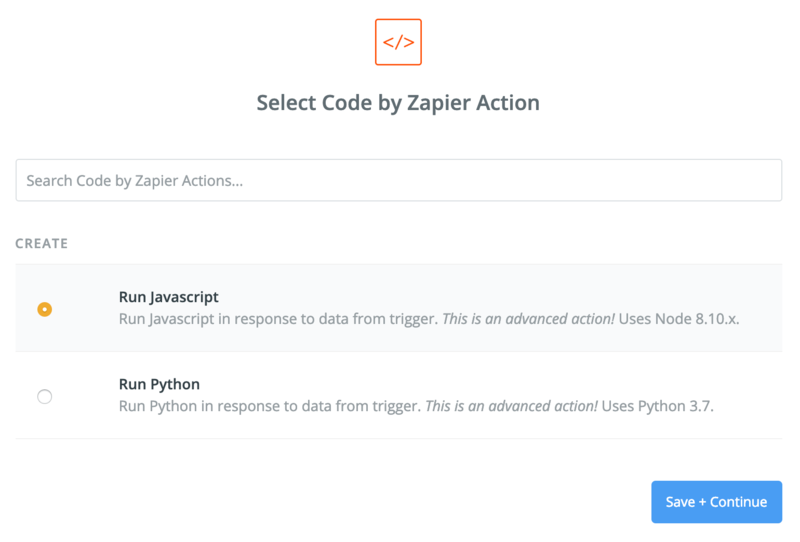 For this example, we use the Code action in Zapier. The above is just a smaller piece to show what it looks like. The full script can be copied here. 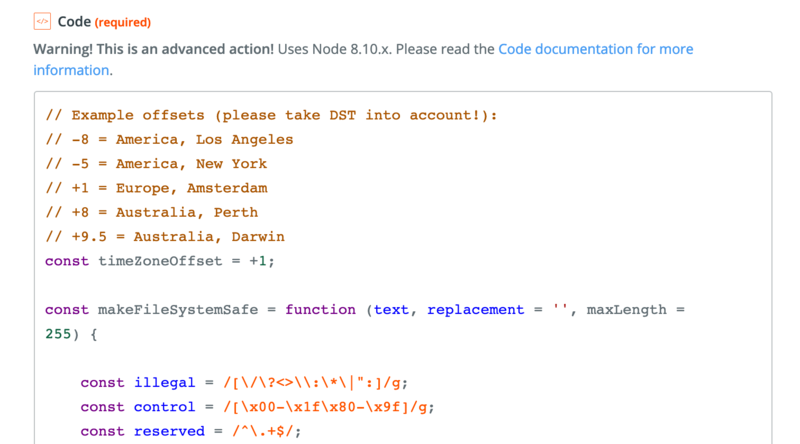 In the next step you can perform a test to see if the script does what's needed. Looks good to me! Note that it doesn't include the filetype extension .png at the end, as some cloud services automatically use it from the input file. You can always add it yourself in the template of the service you are syncing to. Next, we want to use the custom filename in the file service we are syncing to. In this example, we sync our files to Box. If you have setup that Action before, you can simply change the settings in the template. If you have not yet added the Box app, you can combine the settings below in the Box tutorial. In the Box tutorial we left the optional Name field blank, as than it would default to the filename from the source. Now we have scripted a custom filename, we can define it here in the Name field. 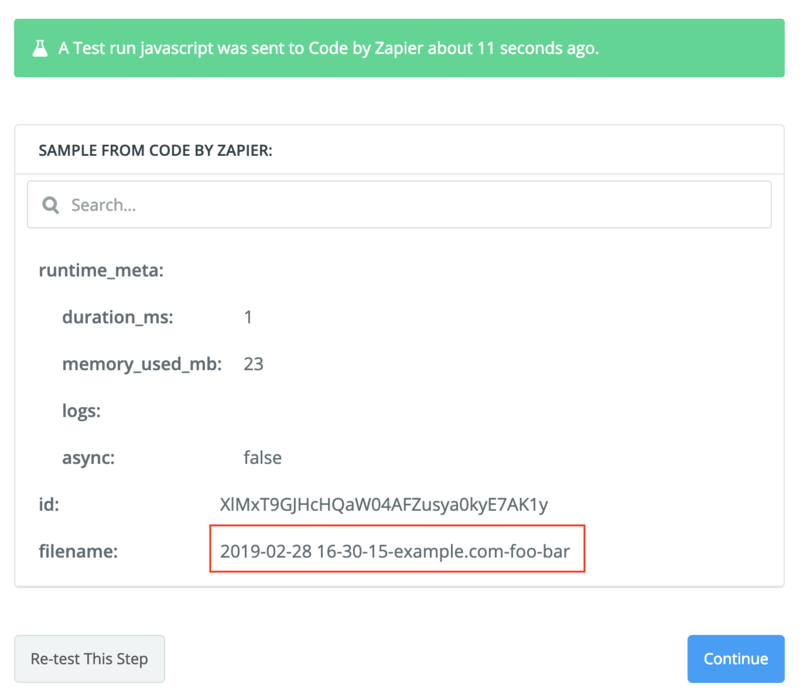 Here, we combined two parts: The domain from the Webhook (Zapier Step 1) and the custom filename from the Code (Zapier Step 2). As Box doesn't allow subfolders to be created, so in this example we used the domain (Step 1) as first part of the filename with a '-' separator for the rest. For services that do support subfolder creation (like OneDrive and S3) you can use a '/' as separator to create a custom folder structure based on domains or year/month, whatever you prefer.